Vamos! offers a wide range of Spanish courses: courses for the youngest ones who have their first contact with a second language, specialised courses to support GCSE/iGCSE and A levels students and courses for adults (either beginners or at more advanced stages) to improve the already acquired Spanish. The courses are taught by a native qualified teacher with more than 10 years of experience in bilingual education. 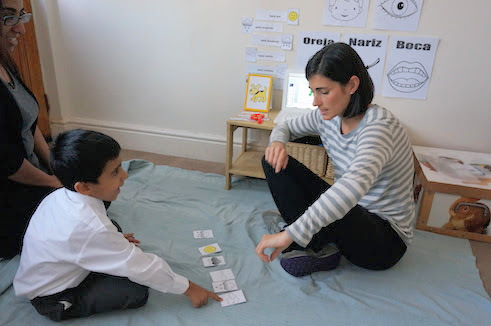 I cannot think of another teacher who would have made learning Spanish so much fun and who makes extra sure that Adam understands what is being taught. Maria includes fun activities to enhance learning and I cannot thank her enough for all that she is doing. Shabs, mum of Adam (4 years old). Maria is always friendly, enthusiastic and well prepared. She is a professional teacher so she understands the learning process as well as bringing her natural Spanish conversational style. She has a great ability to pitch her material at an appropriate level. Jude, mum of Daniel (16 years old – A-levels and GCSC). I have just finished 6 months tuition with Maria and am moving to Spain soon. I have gone from knowing absolutely nada to having a good grip of the basics in no time. She is enthusiastic and engaging, with endless patience for a beginner like me. 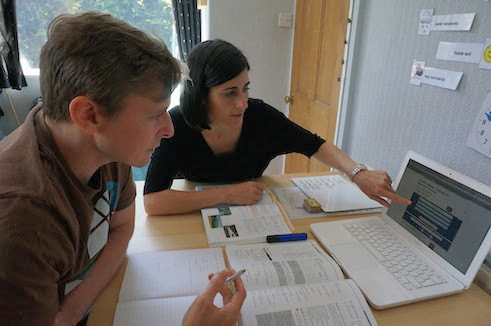 Would recommend to anyone wanting to learn Spanish living in or around Didsbury. She also has a pretty awesome cat. There are 470 million Spanish speakers in the world. Spanish is the 3rd most spoken language in the world and 2nd most used for international communication purposes. Spanish is the official language in 19 American countries, Spain, Equatorial Guinea, and Western Sahara and is becoming extremely relevant in the United States where there are 50 million speakers. Spanish is a derived from Latin and almost 30% of English words have a Latin origin.